Greetings from Århus! 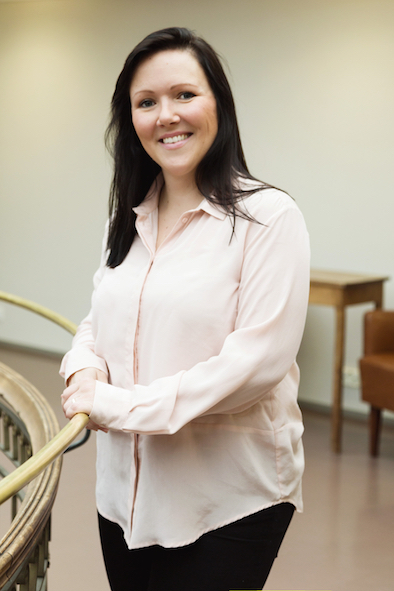 I’m the founder of Finnish Art Agency Laura Köönikkä. Currently I’m enjoying a curatorial residency for May and June of 2018 here in Aarhus Denmark. The idea of this diary-like text is to open what do I do here in Denmark during my stay and to bring out why it is so important to leave your home country and open up to new artists, institutions, art and cities. I’ve noticed that when I said that I was leaving for a residency many people were puzzled and simply asked: why? what are you doing there? for whom? So these are the questions I want to answer with my letters. First of all, I saw the open call announcement for the residency in autumn 2017. The thought of spending two months in Århus to really get to know the Danish art scene, or at least some of it, was tempting. I’ve done two residencies (TBG&S in 2010 and Fire station in 2016) in Dublin and can say that both of those experiences were really positive. I met really interesting artists, and seeing the art scene in another country for a longer period, has really helped me to rethink my ways of working, on so many levels. Understanding the challenges local artists and institutions face broadens your perspective. Also, the conditions of freelance curators interest me since I want to understand how people make it in this line of work in other countries. The more I have travelled, the more I appreciate the Finnish systems, but of course there are many things I think should be reconsidered or changed. Luckily, after staying in Dublin, I’ve also been able to collaborate with some of the artists that I’ve got to know in Ireland, and some of them have become close friends of mine who I can meet every time I go back to Dublin. Working in Scandinavia is easy to me. I’ve lived in Norway and done an exhibition project there, also I’ve done exhibitions in Sweden as well. In Denmark, I have been participating in exhibition collaborations, but have never really created sturdy connections. Based on my previous discussions with the Danes, I’ve understood that east is not exactly the direction where they are heading and that institutions are proud to work with Danish artists. So I was curious to see what is really going on in the Danish art scene. After sending my application to Aarhus Center for Visual Art (Århus Billedkunstsenter, AaBKC), I just forgot the whole thing since I know that waiting for the answer anxiously won’t change the outcome. In mid December I got an email from Aarhus saying that they would like to have a Skype meeting with me. Yay! The Skype call went well since we shared the same thoughts about the residency goals and intentions. My idea was that we would be working flexibly: me and the Center for Visual Art staff. I would meet artists, see exhibitions, give talks, meet art professionals from institutions and do other stuff I want to do in Denmark for work and also for leisure. 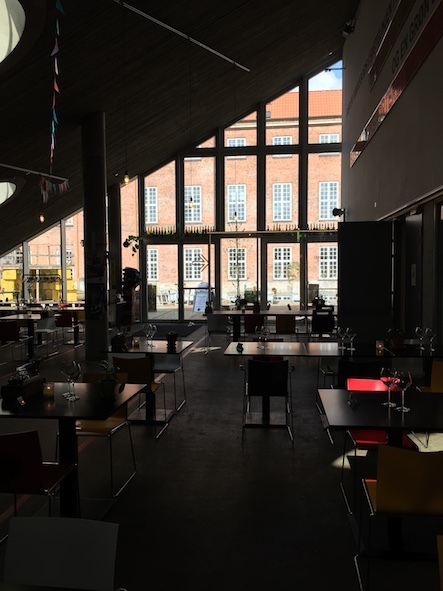 The residency in Denmark, would be a great opportunity for me to explore the art scene and tell about my everyday work and experience and share some connections. And finally, I would embrace all this information and connections and let it soak into my brain for possible future collaborations – which could happen sooner or later in the future. These things always take time and need the necessary time for thinking and taking some distance. I also heard from AaBKC, that they got 66 applications from curators for this 2. year of curator residency programme. So I’m very grateful and lucky to be chosen among so many applicants! They chose me based on my focus on networking, studio visits, and supporting artists’ professional development (I’ve been doing mentoring for some years now) and also because they could see how my follow up from past residencies have led to exhibitions and collaborations. Since I’m a busy art worker and have many responsibilities, I was doing a lot of work before I could actually leave to the residency. I needed to meet people (many of them) and plan how to handle all the projects from Denmark. Based on my experience, I’ve become more sensitive to projects which start in somewhat negative or compulsive atmosphere. Trusting my intuition has become more and more important so I had to say no to few potential collaborations – which happens rarely but I trust my gut. I was invited to curate a summer exhibition for the Pori Artist Association’s gallery in July so that is something I need to push forward also during my residency. Of course there are other things as well but I’m a natural multitasker so no problem in that. I also knew that by staying in a residency, I will have a lot of time by myself and wont have as many lunch dates, meetings, errands as I would have back at home. From AabKC I also received a list of contacts and artist websites I could look into and other info about the upcoming events during my residency. Arriving to Århus was a pleasure since the weather was heavenly warm and sunny. The director Kirstine Schiess Højmose of the AaBKC warmly welcomed me to Denmark and we agreed on the initial plans for the next steps. I was happy to wander around the city on the first day and get my inner map clear about the location of my apartment and other places nearby. Next day I visited the AaBCK office and had a nice breakfast with the director Kirstine and Project Manager Julie Nyhuus. I really like their attitude (straightforward and positive) and that we can evolve my stay during the residency. After that, I worked at my desk until the cleaner came to empty the trash bins at the office (working definitely is not all glitter and champagne at the openings – oh noooooooh….). The next event of the week was a artist curator speed-dating networking event. Together with other art curators and critics, we met a group of artists one-on-one and had interesting sessions about their works and upcoming projects. I really like this type of networking events and was happy to meet new and interesting people. 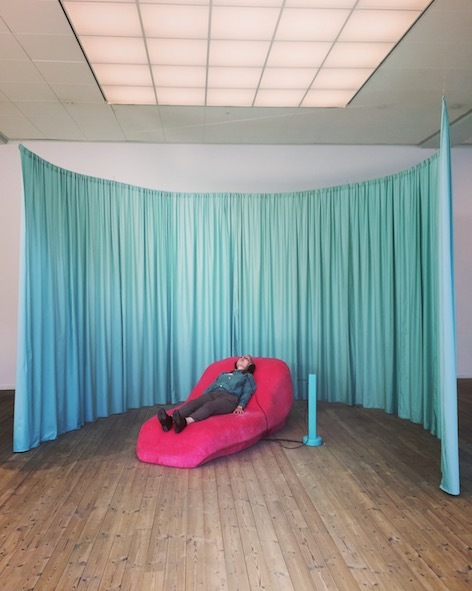 Luckily some of the artists also got their works on show at the Kunsthal Århus where the event was held, so we could talk about the works onsite. I totally understand that some artists think it’s frustrating to show works from a portfolio since it really is only a copy of the work and does not completely represent actual work itself. But I think that this type of presentation of works is something that artists should do and learn how to do it so well that it is not scary, intimidating or frustrating. Just keep practicing if you don’t feel comfortable. Sharing information with art colleagues from other countries is sometimes priceless. I have been working as one of the members of Visual Arts Council at the Finnish Arts Promotion Centre in Finland and have been shocked how much work (weeks) for a very small fee (few hundred euros) we are doing. Thousands of applications with high responsibility to do right decisions plus many other decisions and opinions to ponder. I got to talk with a curator who is also one of the Danish Arts council members (in similar position giving working grants, project grants, etc for Danish artists) who said that they also have a significant amount of work but are paid over 20 000€ per year for this job. I think this is an exemplary way to use the professional knowledge artists and other professionals have been gaining for years. I have been wanting to write or talk with the new future director of the Finnish Arts Promotion Centre Finland before my term in the council ends. I will for sure give these regards to her from Denmark. I think it’s my responsibility to make a statement to this matter since I think that working in these councils should be fair and appreciated. After the event I got to visit few exhibition openings with two lovely artists Olga and Sophia and some other colleagues from the speed-dating event. Thank you for a lovely day and evening to everyone! Looking forward to my upcoming weeks in Denmark! 2. Restaurant Spiselauget, Godsbanen where AaBKC is located.